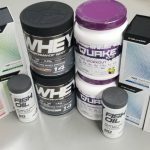 Deal Categories: Protein Powder.Stores: Muscle and Strength. 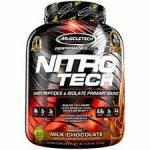 The price on the two tubs MuscleTech Nitro-Tech Whey (8LB total) drops from $108 to $52.99. Over 1,500 customers rated it 4.5/5 stars. 2x2LB Nuts n More Protein Isolate - $25! !